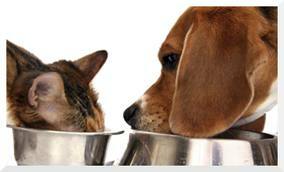 -Skip the store-bought dog treats; consider offering pieces of kibble or veggies instead. If it comes from your hand, chances are your dog will think it’s gold! -Shop around! Some veterinarians charge more than others, so call ahead for estimates. Get second opinions on surgeries and non-routine procedures. -Ask your veterinarian, “What will this test tell us? What choices will be made as a result of the test?” Sometimes the course of action is the same no matter what the result is. Be especially -cognizant with older pets; if you aren’t going to pursue the treatment anyway, consider skipping the test. -If you have more than one pet, ask your veterinarian about “multiple pet discounts.” Some veterinarians will only charge for one exam fee if they see multiple pets during one visit. -Ask about discounts for adopted pets. -If you are on a fixed income or you’re a senior citizen, ask about discounts or “sliding scale” rates. -If you can’t afford the cost of treatment upfront, ask about payment plans or look into Care Credit. -Consider using lower-cost venues like Banfield Pet Hospitals or VCA Animal Hospitals. -Take advantage of free or low-cost spay/neuter services. To find options in your area, click here. For routine treatment (like vaccinations), look for low-cost -clinics or events hosted by local animal shelters, animal control agencies, or animal welfare organizations. -Ask your veterinarian if your pet is eligible for a 3-year rabies vaccination, instead of a 1-year vaccination. -Homemade Pill PocketsVeterinary offices tend to markup medications, so avoid having them filled on site, if possible. Ask to have the prescription called in to a “human” pharmacy (e.g., CVS, Target, Rite-Aid, Walmart) or have them fax it to an online pet pharmacy (e.g., 1-800-PetMeds, Drs. Foster and Smith, PetCareRX) for later delivery. -If you use Pill Pockets to give your dog pills, break them in half; the bag will last twice as long. Or make homemade pill pockets using milk, peanut butter, and flour. -For routine heartworm pills or topical flea/tick ointment, ask your veterinarian about buying the largest dosage possible (i.e., for the largest dogs) and dividing it in accordance with your dog’s weight. Ask about cutting the pills in half or using a syringe to measure out/dispense the topical ointment. -Ask your veterinarian if you can skip flea/tick treatment during colder months, depending on your geographic location. -Give your dog baths at home. Many dogs don’t require frequent baths anyway! -Clip your dog’s toenails at home. Click here for some tips and how-to photos. -Cut your dog’s hair at home. Click here for instructions. -Remember: This isn’t a dog show, so aim for being practical over being perfect! -Make homemade versions of expensive toys! My dog’s favorite tug rope was made by cutting an old sheet into 3-inch-wide strips and braiding them together (shown at right). -When getting a new dog (especially an adolescent or adult dog), wait until you know his/her preferences before buying the pricier items. Dogs are individuals and each one will prefer different things. -Some dog toys and accessories/clothes appeal to the human more than the dog, so save your money for products that give your dog comfort or entertainment. Don’t waste money on things that aren’t meaningful to your dog. -For older dogs that require more support, skip the pricey orthopedic beds. Instead, get a less expensive bed with a removable cover and replace the stuffing/insert with Memory Foam mattress toppers (for humans! ), which you can buy on discount websites like Overstock.com. Cut and/or fold the mattress topper to the desired level of cushioning. -In a bind, place old linens, towels, or [soft] clothes inside a pillow case and tie off the end. This will create a comfy bed for your dog. You can also use these as bedding in your dog’s crate, instead of buying expensive crate liners. -For older dogs who have trouble walking and need extra traction, buy cheap yoga mats or vinyl floor liners (shown at right). The floor liners cost ~$0.99/foot and can be purchased at many hardware stores. Place them on the pathways your dogs uses most often.